Strong rear lip for use with louvre panels.Strong heavy duty reinforced base, sides & stacking rim.Resistance to most industrial solvents, withstands highertemperature.Clear access to contents.All bins with identification card holders.Incorporates a safety stop feature in SB - 4 / 5 / 6 at theback for use in shelves. 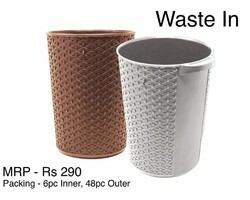 We are offering Plastic Waste Bin to our client. 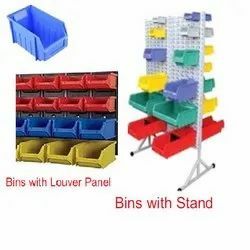 We are a coveted organization that is involved in manufacturing, supplying and trading a vast array of Plastic Pedal Bin. Our product-line is manufactured employing latest machines and equipment following industry standards & norms. Superior quality material is used in the manufacturing process. We are ranked on top by offering the best quality of Railway Plastic Dustbin, which is known for its remarkable finish and quality.